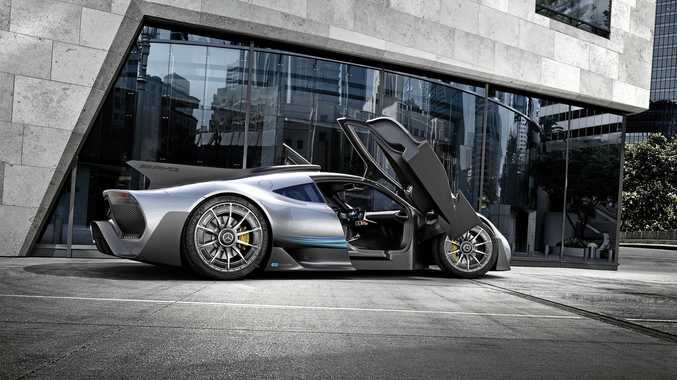 THE most expensive production car ever made - the Mercedes Project One, a Formula One car for the road - has been unveiled at the Frankfurt motor show overnight. It will cost $5.1 million in Australia - including $1.1 million in Luxury Car Tax alone - when it arrives in 2019. Just eight examples of the 275 to be made will make it Down Under. Mercedes refuses to disclose the names of local customers, but trucking magnate and car enthusiast Lindsay Fox is understood to be among the lucky few to have secured one given his appetite for supercars. 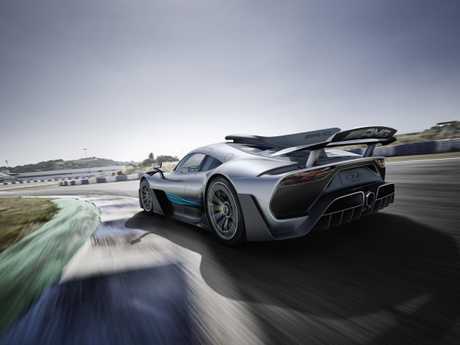 The Project One is powered by a 1.6-litre V6 Formula One engine with a staggering 1000 horsepower - or 740kW in modern terms - paired to hybrid electric motors to give it all-wheel-drive acceleration. It even has the same type of battery cells and cooling system used in the Mercedes F1 race car - enough to drive 25km on battery power alone. Mercedes is yet to publish a 0 to 100km/h time, but it's expected to hit the speed limit in less than 3 seconds. Mercedes claims it will hit 200km/h in less than 6 seconds, on the way to a top speed of 350km/h, giving it a slower top speed than a Veyron, which holds the current record at 431km/h. To keep the car from taking off, "active" wings - which adjust according to car speed - help add downforce. Under current Australian regulations, the left-hand-drive-only vehicle will not be allowed to be driven on the road. But Federal and State Governments are considering allowing a small number of specialised left-hand-drive cars to be registered for use on Australian roads in the coming years. For now left-hand-drive exemptions only apply to classic cars. 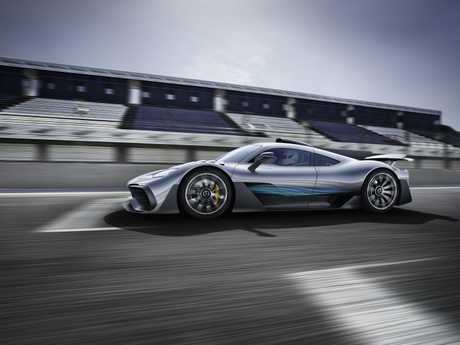 "The Mercedes-AMG Project One is the first Formula 1 car with (road registration) approval," said Ola Källenius, the man in charge of the project described as "the most ambitious project we have every undertaken". Electric motors: Two 120kW electric motors the front wheels, one paired with the engine for the rear wheels and another helps power the turbo.